The Hawaiian kingdom was overthrown in 1893 as a result of the racism and terrorism practiced by white supremacist from America running corporations backed by the U.S. government. The United States Congress passed a law in 1993 apologizing for the illegal overthrow of the lawful government of the Hawaiian Kingdom by the United States. HONOLULU, HAWAI‘I—Today, Dexter K. Kaiama, attorney for Kaiula Kalawe English and Robin Wainuhea Dudoit, filed a petition for a writ of mandamus with the Hawai’i Supreme Court in Honolulu seeking an order to compel Judge Joseph E. Cardoza to dismiss the criminal cases against his clients because Judge Cardoza took judicial notice that the Hawaiian Kingdom continues to exist, which admits that the State of Hawai‘i did not have subject matter jurisdiction over the arrests and criminal proceedings. Judge Cardoza refused to dismiss the criminal complaints despite taking judicial notice that the court does not have subject matter jurisdiction. Click here to download the Petition for Mandamus. Kaiama filed a motion to dismiss the criminal cases against his clients on February 6, 2015, and an evidentiary hearing was held in the Second Circuit Court in Wailuku, Island of Maui before Judge Cardoza on March 5. Kaiama’s motion to dismiss relied on the research and expertise of David Keanu Sai, Ph.D., a Hawai‘i political scientist, whose research is focused on the continued existence of the Hawaiian Kingdom as an independent state. Included in Kaiama’s motion to dismiss was an extensive legal brief authored by Dr. Sai. Kaiama’s motion to dismiss centered on two precedent cases from the Hawai‘i Intermediate Court of Appeals (ICA), State of Hawai‘i v. Lorenzo in 1994 and Nishitani v. Baker in 1996. 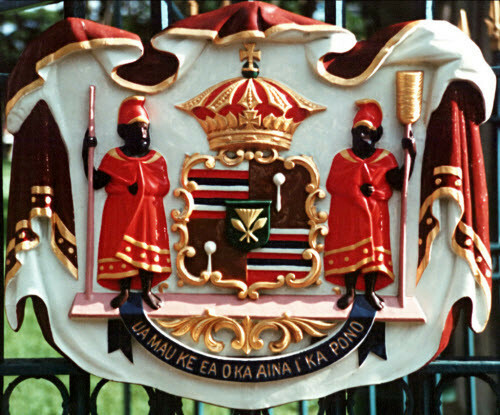 These cases stated that if defendants are challenging the jurisdiction of the court by claiming the Hawaiian Kingdom continues to exist today as an independent state, they have a burden to provide “a factual (or legal) basis for concluding that the Kingdom exists as a state.” If defendants are successful in providing conclusive evidence, the trial court must dismiss the case. Interesting. Here’s a site that has lots of historical information about Hawaii’s indigenous people before the advent of whites.